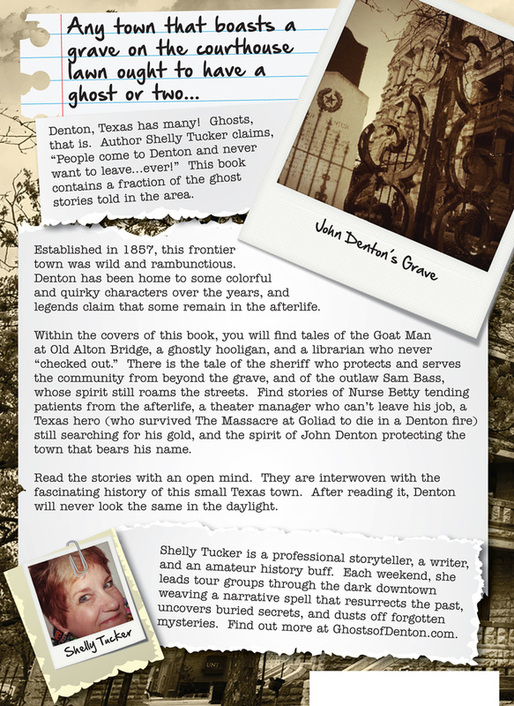 Ghosts of Denton --- The Book! Shelly is a magical soul!!! We were fortunate to be able to plan a tour with her for our family visiting from both coasts of the U.S.. Both believers and skeptics became fascinated. Prior to the tour date, I purchased this for my 13 yr. old grandson from Ca.. Intending to skim read it before, the result was that I could not resist devouring the entire book! My grandson loves his awesome souvenir of a fantastic haunted tour of our town! Dining and shopping the Denton Square will never be the same! We look over our shoulders more! by J.C. on December 19th, 2015.
by luring you in with ghosts tales. From the opening page, you are instantly drawn in by her superb storytelling. 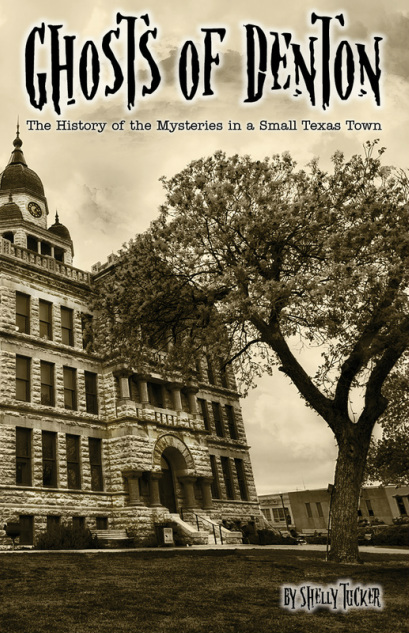 A quick and well` written read, I recommend this book for history buffs and anyone who has ever visited historic downtown Denton and fallen in love with its magical square and the characters who populate this North Texas town. Kathleen M. Rodgers, author of the award-winning novel, Johnnie Come Lately.